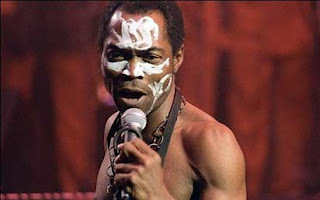 Felabration, which is, ‘an annual music festival conceived in 1998 by Yeni Anikulapo-Kuti in memory and celebration of her father, Fela Anikulapo-Kuti, a Nigerian musician and human rights activist known for pioneering the afrobeat genre of music, is in its 18th year, and annually, it keeps getting more interesting. This year’s edition of the music-carnival, with the theme ‘Everybody say yeah yeah’ attracted guests in record numbers, and virtually all known music artistes in the country graced the shrine at the Afrikan Shrine, Ikeja, Lagos. In its usual fashion, it began with a symposium tagged ‘Movement Against Second Slavery’ at NECA hall, Ikeja. From there, the party continued on full-scale at the Afrikan Shrine throughout the week. Some of the artistes that opened the show on Monday were Ojjay Wright, Taye Currency, Pepenazi, Sugarboy, Edaoto, while on Tuesday, the likes of Jaywon, Ajebutter, Kcee, Skibbii, Orezi, Illbliis rocked the stage. On Thursday, it was the turn of Mz Kiss, Toby Grey, Skuki, MayD, Saheed Osupa, Omawumi among others. On Friday, the likes of Falz, Omawumi, Reekado Banks, Dija, Oritsefemi. On Saturday, Seriki, Rayce, Praiz, Jesse Jags, Seun Kuti took over, and on the final day of Sunday, Patoranking, MI, Cynthia Morgan, Seyi Shay and Femi closed the superlative week of music performances.